‘Politicians, of course, desire the good order, peace, and happiness of society. To them the most important of all questions must be, How can the community be best and most economically governed? How can crime and vice be diminished? Moral Training appears to us to be the very machine so much desiderated, whether as regards its efficiency or economy; and without which our town population must continue to sink in crime and profligacy.’1GES (1837), Fourth Report, p.6. Stow lived through the reign of four monarchs. He was probably barely aware of the first, George III,2George III (reigned 1760-1820).since by 1811, when Stow was 18 and starting work in Glasgow, the king was suffering from another bout of porphyria. This resulted in the regency and reign of his son, George IV3 whom Stow almost certainly despised. Neither would he have had much time for William IV 4William IV (reigned 1830 – 1837).not least because of his illicit relationship with the actress Dorothy Jordan. Besides, Stow would not have approved of William’s political ineptitude nor his opposition to the Reform Bill which generally benefitted the merchant classes.5For the first time Glasgow was given two MPs in recognition of the growth in population and a uniform property qualification of £10 was introduced. While his friends may well have lauded the man, it is more likely that it was the Conservative Party they wished to see succeed. Indeed, the same newspaper urged: ‘We entreat the friends of the Conservative Reforms to be early and persevering in their exertions at the poll’. 6Op cit, 3rd November, 1837. They had good reason to be concerned: Stow stood as a Conservative and came in third. 7 Mr R. McGavin (Liberal), 464 votes; Mr James Turner (Liberal), 450 votes; Mr David Stow (Conservative), 331 votes; and Mr Thomas Kennedy (Conservative): 303 votes; The Scottish Guardian, 9th November, 1837. Stow and others challenged McGavin’s appointment but appear to have lost, cf. The Scottish Jurist (1839)’ Reports of cases decided in the supreme courts in Scotland and in the House of Lords on appeal from Scotland’, Vol. XII. Edinburgh: Anderson, pps. 419-425. No further evidence of his political persuasions is currently available but it is difficult to believe that he remained a ‘Conservative Tory’. In any case, alliances were more fluid following the Reform Act of 1832 and splits in each party make any assumptions about complex allegiances somewhat dubious. Both parties were dominated by Anglican land-owning classes but Stow, an ecumenist, surely sympathised with urban Nonconformists, particularly Wesleyan Methodists and English Presbyterians. In addition, Whigs 8Significantly, the Whig party was in power during the crucial years (for this account) from 1830-1841 and 1846-1851. increasingly came from industrial or commercial backgrounds and introduced economic and social reform both of which might have appealed to Stow. Betchaku (2006) has undertaken useful work on the voting patterns of the office bearers of the GISS and GES.9Betchako, op cit, 2006. At the General Election of 1832, Ewing, the GISS president and GES vice-president, and Oswald, a GISS benefactor,10Stow reported to Kay-Shuttleworth that ‘Mr. Oswald our City Member …has expressed himself very favorable to our Institution’, Letter from Stow to Kay-Shuttleworth, 24th January, 1840. were both in favour of parliamentary reform presumably notwithstanding the fact that it was implemented under a Whig Government. Perhaps most, including Stow, could be described as Liberal (as opposed to Conservative) Tories.11Macmillan, Hugh, (2008) describes Chalmers as a ‘Whig who became a Peelite Tory’ in ‘From ‘Rational divines’ to the northern Rhodesian mines – Christianity, political economy and social anthropology in Southern Africa’, Unpublished address. Despite his early failure, Stow went on to become an astute political player. In that same year (1837), Kay-Shuttleworth 12For the sake of clarity, excepting appropriate footnote references, Dr James Kay, later Sir James Kay-Shuttleworth following his marriage, is referred to as Kay-Shuttleworth throughout.paid what turned out to be a momentous visit to the Normal Seminary. Kay-Shuttleworth, who uniquely combined his medical knowledge and skill with thoughtful compassion and a talent for administration, had graduated as a doctor from Edinburgh University in 1827. He spent the next ten years practising in Edinburgh, Dublin and Manchester and his meticulous observations on the conditions of the poor underpinned his subsequent specifications about their treatment – particularly of children and more particularly of their education. As we shall see, Stow and Kay-Shuttleworth had much in common beyond an understanding of trade,13Kay-Shuttleworth spent at least a year in the cotton trade before entering medicine. a knowledge of the work of Thomas Chalmers and a taste for religious piety. Kay-Shuttleworth’s subsequent appointment as secretary to the Committee on Education of the Privy Council gave Stow crucial access to the heart of the Government’s attempts at educational reform. On 8th March, 1838 Kay-Shuttleworth made his celebrated statement to the Select Committee: ‘The most perfect school of this description with which I am acquainted, is a school recently established in Glasgow, by the Glasgow Educational Society, denominated the Glasgow Normal Seminary’.14Select Committee on the Education of the Poorer Classes in England and Wales, 1838, paras. 265-279. This detailed and exceptionally favourable account of Stow’s work complements his views expressed elsewhere. ‘The public establishments of Glasgow and Edinburgh are proceeding on a system and are conceived upon a scale which surpasses anything that we are acquainted with in England’ 15 Manuscript letter Kay-Shuttleworth to Lewis, Cromer, 23rd September, 1837, National Archives MH 32/49, James Phillips Kay correspondence related to the Eastern District Poor Law Unions.he wrote to Rt. Hon. Thomas Frankland Lewis, the first chairman of the Poor Law Commission of England and Wales. Stow’s growing friendship with Kay-Shuttleworth can been seen in the several requests for Government grants for the Glasgow Educational Society which are dealt with more fully in Chapter 7. ‘Agreeably to the hint you gave me some time ago’ he writes on 24th January 1840, before reporting that he had, on that advice, approached the Committee of Education and ending with a jocular comment on the state of his kidneys. He opens his letter on 30th March, 1841 with ‘you may justly say that I presume too much on your friendship, but when a person has a certain amount of esteem & confidence fear is shut out’. Nor was Stow above a little flattery: ‘The present Liberal Government with the Poor Law Commissioners and an MD of (authority?) 16The ‘MD of authority’ was, of course, Kay-Shuttleworth. at their head or foundation rather has done more for real education alias Mental & Moral Training than has been done for two centuries past’.17 Letter from Stow to Kay-Shuttleworth dated 30th March, 1841. Kay-Shuttleworth had the ear of the home secretary which Stow was quick to turn to his advantage: 18Sir James Graham was Home Secretary from 1841-46, holding office under both Earl Grey and Robert Peel. ‘We are poor but I always trusted to your influence and the favorable (sic) regard of Sir J. Graham that you would help us and we have not been disappointed’.19Sir James Graham was Home Secretary from 1841-46, holding office under both Earl Grey and Robert Peel. But even more significantly, the chair of the Committee of Education was the Marquis of Lansdowne. We have already noted in the previous chapter that Stow apparently had few misgivings about using this acquaintanceship to secure a living for his son. It was Lansdowne who asked Stow to become the first Scottish school inspector. And it was Lansdowne who eventually sanctioned the substantial government grants to the Normal Seminary and, indeed, to schools operating ‘The Training System’. In 1780 Commissioners for Auditing the Public Accounts were appointed by statute but from 1834, the Commissioners worked in tandem with the Comptroller of the Exchequer, who was charged with controlling the issue of funds to the government. Cf. History of the National Audit Office, http://www.nao.org.uk/about_us/history_of_the_nao.aspx. He had been Chancellor of the Exchequer (1835-39) but was ‘widely regarded as not up to the job both by his contemporaries and later historians and admitted his own ‘inadequacies’ Cf. Wasson, Ellis Archer, (ODNB, 2010) ‘Thomas Spring Rice. who, from 1835 to 1839, was Lord Monteagle or Thomas Spring Rice, 1st Baron Monteagle of Brandon. In an almost illegible letter to Chalmers dated 5th January 1841, Stow regrets being unable to speak with Chalmers because, he states, ‘the following day it being Monteagle’s last opportunity of going to the Seminary I (..ats?) propose to go with him’. We may surmise that whatever happened at the Port Eglinton Spinning Company that day, Stow was determined to attend the Seminary to meet with the Comptroller of the Exchequer. He appears to have received short shrift from Monteagle, however, for two months later he wrote caustically to Kay-Shuttleworth ‘I wish I had the purse Strings of our Noble friend Monteagle for 5 Minutes without control or observation & I would lay in or pullout what would do more for the weal of the Commonwealth than public speeches & printed rules could ever effect’.21Letter from Stow to Kay-Shuttleworth, 30th March, 1841. ‘We have had several deputations from the Church of England, in consequence of which the diocesan training schools were established; the improvements in the Church of England model school were copied from this institution; all the late improvements in the Borough-road school gallery, etc., were professedly taken from us; the gallery system at Norwood and Battersea, and throughout England, was taken from this institution.’25Ibid. Although additional funding was not immediately forthcoming, in 1843 Graham appointed two students from the Seminary, Messrs Craig and Barlow,26A third student, appointed in 1839, died ‘after a couple of years’. Cf. Stow. The Training System, 7th ed. 1846, pps 470-474. For more details of their work see the appropriate drop-down menu.to Parkhurst Prison with well-documented results.27Over 60 young prisoners received free pardons, 21 being found work at home and 40 were sent, but not transported, to Australia as free men. The Prison was also visited by Queen Victoria and Prince Albert.28 Stow visited the prison on April 23rd, 1846 almost certainly after the marriage of his son and Catherine Bannister in London on 16th April. In addition to the above-mentioned, Stow does seem to have had a genius for making friends in high places whom he referred to as ‘the Powers that be’.29 Letter from Stow to Kay-Shuttleworth, undated, early 1843: ‘Since Novr last in order to prepare the public for the begging System a few notions have been published in the public Journals such as I sent to Mr. McLeod some time ago in slips. I also sent them to some of the ‘Powers that be’. William Fox Maule 30Later Fox Maule Ramsay, the second Baron Panmure and eleventh Earl of Dalhousie. joined the Free Church of Scotland and was present, with Stow, at the Signing of the Deed of Commission. He became MP for Perthshire, was a member of the Privy Council and, as Secretary at War from 1846-1852, was instrumental in setting up a Normal College with Model Schools for the training of teachers for the army in the Royal Military Asylum at Chelsea. One of Stow’s pupils, Walter McLeod,31Walter McLeod was first Headmaster of Battersea Training College which trained teachers for the Poor Law Union Schools, see appropriate drop-down menu. became the headmaster and thus introduced ‘The Training System’ into army schools. McLeod revolutionised the practice of using 12-14 year-old monitors to promote education at home and abroad.32 They were sent to units of the Duke of Wellington’s Peninsular Army, safe in its winter quarters behind the lines of Torres Vedras (1810), to Upper Canada (now Ontario), India, Malta, the Caribbean and the West Indies. This approach had been promoted by Andrew Bell who used his influence with the Bishop of London to promote his Monitorial or ‘Madra’ system. see www.achart.ca/york/schoolmasters.htm. A trained, experienced, university man, and a Fellow of the Royal Geographical Society, McLeod achieved renown, not least as of the author of several books for teachers.33 For example, ‘The Sunday School Teachers’ Magazine’, ‘Exercises in Arithmetic for Elementary Schools’, ‘The Geography of Palestine, or the Holy Land’, a ‘First Reading Book’, London, 1848 and ‘The Second Reading Book’, London, 1849. ‘I therefore take the liberty of sending you a plan of Moral Training which has been proven to be a mighty engine in elevating the poor of towns’ …….. ‘may I be allowed to recommend to your perusal Chapters 1st. 2nd. & 8th. as also the parents’ letters in the appendix as proofs of the efficiency of the system therein recommended. Chapters 3rd. 4th. 5th. 6th. & 7th. relate more particularly to the practical working of the system.’36 Letter from Stow to Sir Robert Peel: 31st January, 1835. The copy would be the second edition of ‘The Training System’, 1834. Adding a cavalier P.S. ‘I have taken the liberty of making the same communication to His Grace the Duke Wellington’. As outlined in succeeding chapters, one result of all these recommendations, letters and meetings was that Stow’s name eventually became sufficiently well-known in political circles to secure considerable financial advantages for the two Normal Colleges with which he is associated. ‘It all is to be kept in mind that, after the Reformation in Scotland, although provision was made for one parochial school in every small parish, no provision was made for their extension in towns. None but Grammar Schools were ever established in the larger towns of Scotland. For example, there is one parish school for the original Barony Parish of Glasgow, now comprehending 90,000 souls; and not even one for the remainder of the city of Glasgow, comprehending 160,000 souls. All the others, called Parish Schools, are unendowed and merely subscription schools, supported by the different kirk sessions of the Established Church, leaving the remainder of our educational wants to be provided by private teachers; and both the quality and quantity of it are supplied according to the demand, and not what are best fitted for the improvement of the rising generation. What is true of Glasgow, is also true of the other royal burgh towns in Scotland; there is a Grammar School in each, but not Parish Elementary Schools. That important part of the Parochial System of Scotland, in fact, has yet to be established in towns, namely – a Parish School’.37GES Fourth Report, 1837, p. 7. Stow was referring to the ‘national’ system established under Knox for a ‘school in every parish’ and which, even when and where implemented, took little cognisance of boundaries, size or geographical terrain. A subsequent series of education acts required land-owners, or heritors, to provide for a school, and a school-house and salary for the teacher. At its best, the Scottish system provided for children to attend the parish school; at the age of about nine, or when they could read and write, those in the towns could progress to the Burgh schools which were often better endowed, had more teachers and benefitted from a developmental curriculum. The fortunate continued at the Grammar school. However, the quality varied considerably. Rusk argues that, in addition to the problems associated with difficult terrain, small populations, and the failure to recognise the need for teacher-training, the parish system was fundamentally unsuited to large industrialised towns.38Rusk. (1928). ‘Origin of the training system in Scotland.’ in The Scottish Educational Journal, October 12th, 1928. ‘Perhaps there is most of all the tie which binds the locality itself to the parochial seminary, that has long stood as the place of repair, for the successive young belonging to the parish; for it is true that one family borrows its practice from another – and the example spreads from house to house, till it embraces the whole of the assigned neighbourhood – and the act of sending their children to the school, passes at length into one of tacit, but well understood properties of the vicinage – and new families just fall, as if by infection, into the habit of the old ones – so as, in fact, to give a kind of firm, mechanical certainty to the operation of a habit, from which it were violence and singularity to depart. 39 Chalmers, (1819). ‘Considerations on the system of parochial schools in Scotland and on the advantage of establishing them in large towns. Glasgow, James Hedderwick, p. 11. In response to the deficiencies of the parish system, exacerbated by the increase in population, groups of parents had collaborated to set up ‘Subscription’ schools, while independent teachers ran their own ‘Adventure’ schools as a commercial business, and private tuition and ‘Academies’ were available for the middle classes. By 1824 the Church of Scotland had begun to provide ‘Assembly’ and, in the Highlands and Islands, Gaelic-speaking schools.40In 1824 the General Assembly appointed a Committee on Education. Between 1824 and 1835 80 schools had been set up in the Highlands and Islands and by 1846 there were 146 Assembly Schools. The denominational churches set up ‘Voluntary Schools’41See glossary of terms in the General Appendices and all denominations extensively provided Sabbath Schools during the evening and on Sunday afternoons. ‘Factory’ schools, provided by philanthropic owners as at New Lanark, usually referred to collieries or cotton mills.42There were four such schools in Glasgow: Pollokshaws, Anderston, Calton and the Gorbals. ‘To what is the money to be applied? Is it to establish a Government Board or Government Trustees, who shall take the superintendence of the Normal Seminaries out of its connexion with the National Church and thus prepare a set of masters more liberal, as the phrase is, than those whom the Church can sanction? It is a vital question. For if masters of that description gain admittance to your national nurseries, in vain will your ministers toil afterwards to alter, or modify, or counter-act the bias thus given to your rising generation…….. you have reason to apprehend that your Christian system will be superseded by a Government system, not Christian, unless by your prompt and overflowing contributions you tell the Government you want no help at all. Within a year, with insufficient ‘prompt and overflowing contributions’ that bid for financial independence seemed a vain hope; and by 1845 the fiscal decision to hand over the Normal College to the Church of Scotland had resulted in the loss of the College altogether. Nevertheless, as the ordinances of the Committee of Council gathered momentum, Stow, a proficient pragmatist, learned to work within the confines of Government control, to focus on what was becoming a pressing need, not just for improved teaching in the parish schools, but for a national system of education. While acknowledging ‘the serious difficulties with which the Government has had to contend, in settling this momentous question’ he persuades the Voluntaryists to bend their principles: ‘The earnest friends of religious education in the Church of England, the Wesleyans and other Protestant Dissenters, will surely make some appropriate personal sacrifice, to raise their countrymen from their present degraded state of ignorance’. 44National Education, 1847, p. 1; digitised version p.1. Quite simply, the size and cost of the task was beyond voluntary provision. The State must ‘interfere’. Paradoxically, both in the minutiae of his localised efforts and the extensive body of his literature, it is easy to miss the point that Stow’s growing concern was for educational provision in large towns. 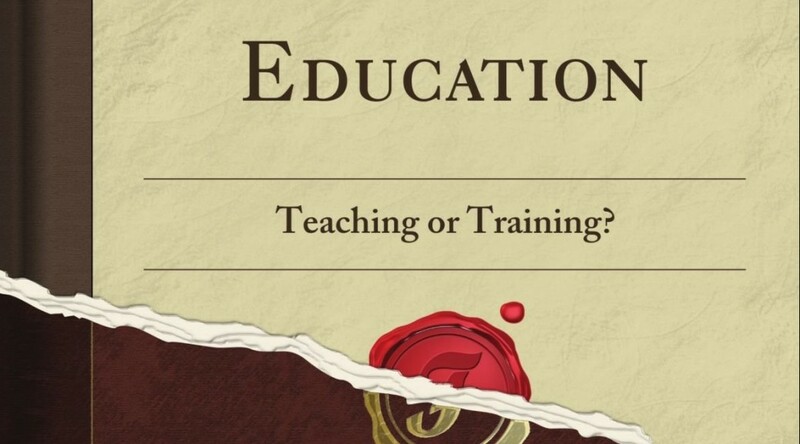 His books, so often referred to as simply ‘The Training System’, from the second edition (1834) onwards include references to ‘Moral Training, Infant and Juvenile, as applicable to the condition of the population of Large Towns’ in the title or preface. Brought up in a weaving town, Stow understood from observation that the practice of education at home, which had suited a rural economy, was no longer appropriate when parents went out to work in the factory, mill and mine. ‘In the country’, he wrote in 1837, ‘Moral Training by the parents is practicable where the child, nearly free from companionship, follows his father at the plough, or his mother in the dairy; but it is widely different in towns with the father at the work-shop or the factory’.45GES Fourth Report, 1837. A double gap existed in the moral training of the children – not only did they lack the guidance of their parents, but they were free to find their own companions among the depravity of the city wynds and vennels. And Stow, merchant and factory-owner, also recognised that, no matter how appalling were the conditions created by what came to be known as ‘the industrial revolution’, the future lay with these rapidly expanding urban conurbations. There was no going back as Chalmers had attempted in the St John’s experiment, re-creating the rural parish in the town. Stow was involved in business in Glasgow and Leeds; he visited London; he sent students to Manchester, Liverpool, Stockton, Bolton, Blackburn, Halifax and Wolverhampton to name but a few. The burgeoning ‘new’ towns required new solutions to new problems. ‘No sooner had Mr. Stow’s father, then one of the magistrates of Paisley, along with Baillie Carlile, Mr. McGavin, the well-known author of ‘The Protestant’, and some of the most influential clergymen in the community, formed themselves into a society to institute and conduct Sabbath-Schools, than the Sheriff of Renfrewshire ordered them to send an exact account of the number of their schools and of the nature and design of the Society ………He requested the teachers of the Sabbath evening schools to attend at the Fiscal’s office as soon as convenient, with an offer to take the oath of allegiance, that their various names and houses might be registered.’46Fraser, William, (1868) p., 22. Note also that in 1799 ‘The Church of Scotland assembly passed an act against ‘vagrant teachers and Sunday Schools’. ‘Great and mighty objections were felt and expressed by many of the most philanthropic of our citizens in regard to the introduction of such a system, some of them apparently extremely plausible, such as fear of withdrawing the affections of children from their parents – overloading the minds of infants at such a tender age – injuring their health by too much confinement, &c. &c.’ 49Stow in Cleland (1831), 2nd ed. Stow marshalled several arguments to convince the wealthy to contribute to working class education. As we have seen, he played down the supposed levelling effect of education, and emphasised instead the advantages of keeping children off the streets; of training them to be responsible members of the community with a respect for personal and state property; 50Much of Stow’s moral training and the examples he uses, concern honesty and the respect of others’ property. Cf. Dr, Chalmers, appealing for the establishment of more schools to keep pace with the growth in population, justified the expense involved thus: ‘With all its cost it would still form the best and the cheapest defence of our nation against the fiercer and more untoward passions of our nature …….a moral is of far mightier operation than a physical force in controlling the elements of political disorder…..’from ‘Considerations on the System of Parochial Schools in Scotland and on the Advantages of Establishing them in large towns’. Quoted Insh, George Pratt: ‘The Life and Work of David Stow’ Commemoration Lecture to the Royal Philosophical Society of Glasgow, December 22nd 1937 p. 8. of preparing a generation of factory workers conditioned to habits of punctuality, regular attendance, hard work and honesty; of producing a literate electorate necessary for enlightened democracy; of politically controlling the population through moral training; and of releasing the mothers to work in the mills and factories without anxiety over their children. ‘In a period like that in which we live, the possession of riches involves a responsibility of the most solemn nature – to employ a portion of them for the best interests of those through whose labour their riches have accumulated. The maxim of a cold hearted political economy has obtained much acceptance in these latter days, that the only tie between masters and servants, between operatives and those who employ them, is, that a certain portion of work is to be performed on the one hand, and a certain pecuniary compensation is to be given on the other …… The spirit of a wise philosophy rejects a principle, which, while it may prove advantageous for the accumulation of wealth, is destructive of all that makes wealth valuable.’ 51 Second Annual Report of the Glasgow Infant School Society, 1830, pps. 16, 17. ‘I have no intention of either condemning, or of giving unqualified approbation to, the educational measure of the Committee of Council, which has now received the sanction of Parliament. But we think that every individual who approves of the State lending its paternal aid towards the moral and intellectual improvement of the poor and working classes, will naturally hail with delight the opportunity presented by this legislative measure for putting forth his utmost energies to render it available.’52National Education (1847), p. 67; digitised version, p. 1. ‘We must, however strange, talk as familiarly of millions for education as we were wont to do for war …….55Stow. (1847) National Education p. 67. Our legislators propose thousands, when millions are needed, as if a city on fire could be extinguished by a few buckets of water. 56Stow. (1839) Supplement to Moral Education p. 11. If the industrial revolution was producing the wealth of the nation, then the wealth of the nation must be used to counteract the social effects of that revolution. Eloquently summed up by Philip Gardiner as a change which was achieved ‘incrementally, inch by inch, the cumulative result of thousands of unmarked daily confrontations between parents, teachers, children, policemen and school-attendance officers at street corners, front doors and school gates.’ Gardener, (2004), in Williams, Chris. A companion to nineteenth century Britain. Oxford: Blackwell, p. 364. towards state schooling as a normal experience of childhood.